This is not the magazine I wanted to receive today. 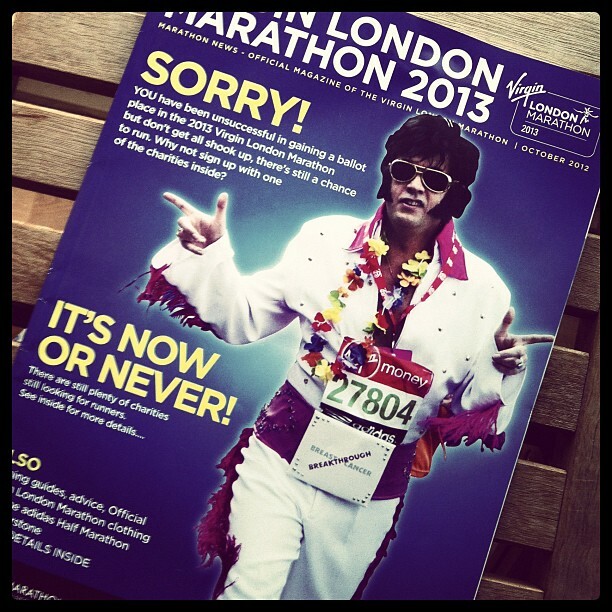 I guess I'm going to have to go back to my original plan and actually run my nuts off and qualify to guarantee a place in the 2014 London Marathon. Now to find another spring marathon to do instead. Hmmmm, Edinburgh? Paris? Milton Keynes?